Creating a complete kitchen renovation can be a challenge for many homeowners. From the countertops to the floors to the hardware accessories, every element in this versatile space should be considered during home improvement services. In many cases, the biggest struggle will come from creating a balanced, dynamic color scheme. Combining dark surfaces with dark cabinets, for example, can result in unwanted outcomes and poor style combinations. Homeowners who are planning on utilizing lighter cabinets as a part of their kitchen style will have a range of design options, but some of these choices may result in washed-out appearances. It’s important to plan like a pro, and working with your local home remodeling contractors can help to create the best outcome. Detail Design & Remodeling is here to serve as your trusted home remodeling company across Georgia. For years, we’ve worked to create the best outcomes with cabinet refacing for Atlanta homes of all sizes and styles, delivering lasting quality that is sure to make homeowners and guests smile. While our last post highlighted a few style ideas to match dark cabinets, today’s post will feature on some tips to inspire those seeking lighter cabinet hues for their unique style. If you’re ready to create amazing outcomes for your home, be sure to contact our home remodelers today! One of the easiest mistakes to make is to focus too much on each individual element in your kitchen design and not the overall appearance. Light-colored cabinets can infuse some brightness into any kitchen, but matching that material with similar countertops and floors can result in disaster! Home design is all about contrast. Creating a space that is void of any unique details or interests can cause any project to fall flat. Be sure to take a step back after every design decision you make — you’ll be thankful later! Minor changes to hardware, handles, and light fixtures can create a major change in appearances. We recommend having fun, but don’t forget to look at the big picture! The easiest way to add contrast and create separation for your floors and cabinets is to invest in a dark countertop. Brighter kitchens can quickly wash out the finer details, obscuring the beauty of your renovations. In some cases, uninterrupted surfaces may result in glare and unexpected light exposure. Dark countertops, in granite or quartz, can create a stable point in the room to center your design around. As always, our kitchen cabinet refacing services can help to create a balanced design for your home! While we recommended against matching countertops, floors, and accessories, one sound way to ensure your kitchen achieves a contemporary look is to invest in the lighter side of the color spectrum. Homeowners wanting a bright, clean look for their space can opt for white-on-white, but certain precautions should be taken. The hardware and decorations in your space should be changed up for a vibrant contrast to the seamless white introduced after new appliances and cabinet refacing. Successfully balancing this look can take the traditional look of white appliances and infuse it with modern accents, allowing homeowners to choose from a wider range of style options. Homeowners hoping to make their kitchen appear bigger can opt for bright whites to reflect more natural light. This versatile design option (bright colors are in!) is often more affordable, as well. If your current cabinets are looking drab, our cabinet refacing services can help to implement a fresh new look. 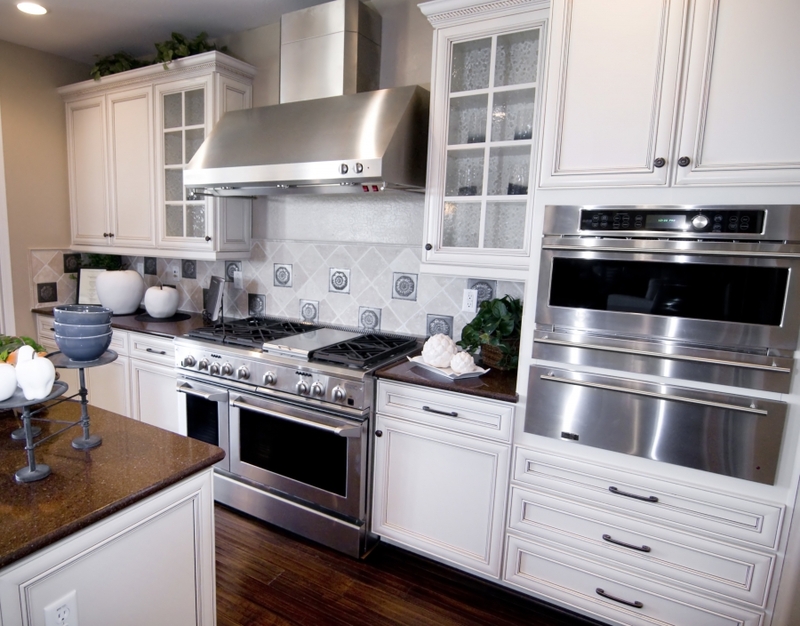 Kitchens featuring light or dark cabinets can often benefit from the versatility of stainless steel appliances. This style is a top-quality choice for homeowners and business managers alike, featuring sleek designs that come in varying shades to deliver a truly personalized look. One of the only drawbacks to this upscale material is its prices. Homeowners who decide to invest in stainless steel can expect a quality shine for years to come, and they can relax knowing that their appliances will be able to adapt to a variety of updated kitchen styles. One option that many homeowners do not consider is bringing in a second color option for their cabinets, mainly the kitchen island. You can mix and match a variety of materials to find a strategic combination. Kitchen cabinet refacing can introduce a darker island color to contrast with your lighter cabinets, creating depth for your design. By introducing a third color into their scheme, homeowners will find that they have more flexibility in balancing the hues of their darker and lighter elements. 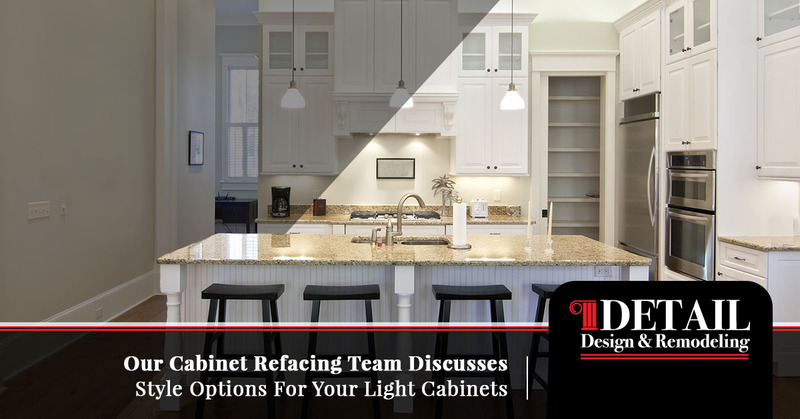 Cabinet refacing can be the perfect opportunity for our clients to introduce multiple materials or finishes, creating a personalized outcome that is sure to stand the test of time. No matter your home renovation plans, it pays to find a local remodeling company for assistance. Georgia homeowners can benefit from the Old World craftsmanship delivered by Detail Design & Remodeling. 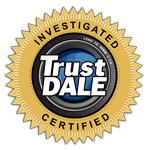 For years, we have delivered top-notch results to Atlanta, Dunwoody, and beyond. Our home remodeling contractors can provide comprehensive renovation services to match your vision while staying within your budget. Contact us today to learn more, and be sure to schedule your in-home consultation!